Next month the TV period drama Downton Abbey, which provided PBS its highest ratings in several years, will begin its third season. It’s the story of an aristocratic Edwardian English family and their servants who try to make sense of a world undergoing change like no other time in history including a world war. Highclere Castle, the setting of Downton Abbey, is about 70 miles southwest of London. Americans love this TV drama with no small thanks to the landscape, a true star in its own right. 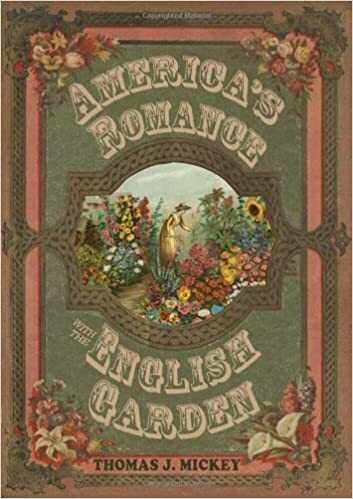 In some strange way the classic English garden with its green lawn continues its hold on the American psyche. 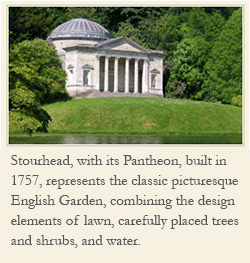 No surprise that the English garden with its signature lawn appeared from Maine to California. Are you looking forward to the new season of Downton Abbey? My husband and I watch Downton every time it’s on, and yes, the landscape is truly the star. 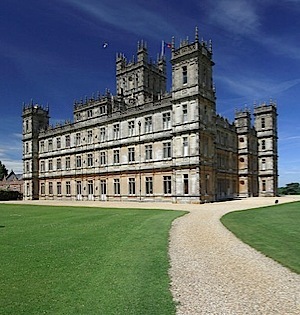 I want so much to visit Highclere Castle. I hope to get to one day. Dee, I may travel to England this summer with a sure stop at Highclere Castle if I go. will take photos. I have been watching reruns of DA recently. They are wetting the appetite of the viewer for the series return January 6.